We offers a wide range of bow and dee shackles, depending on the application on which the shackle is going to be used; the range stretches from Working Load Limit (WLL) 0.33 tons to 1500 tons. 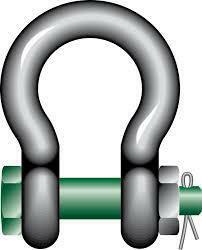 Therefore, our customers have a very extensive range to choose the shackle exactly suitable for the application. Most of the shackles are directly available from stock. 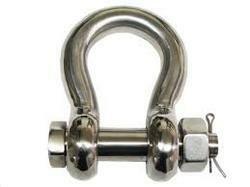 Furthermore, shackles can be supplied to many standards such as the US Federal Specification RR-C-271, EN 13889, British Standard 3032, DIN 82101, DIN 82016 etc. 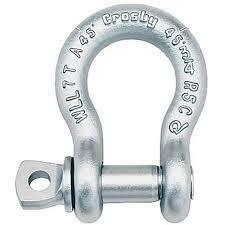 This Metal Shackle is made of quality raw material and is perfect for marine industry. Easy to install and highly durable in nature, this Bow Screw Pin is used to take high loads primarily in line. 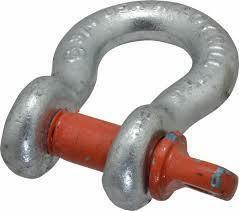 Looking for Marine Shackle ?